For me, spring makeup looks are all about beautiful glowing skin and since the new season is just around the corner, I thought I’d share two of my favourite highlighters for getting the glow. 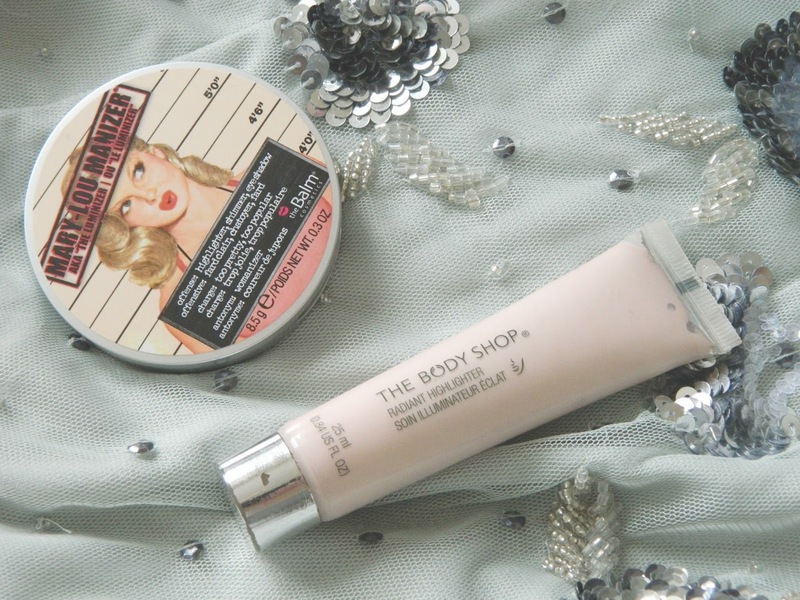 First up we’ve got The Body Shop Radiant Highlighter. This is a pink toned liquid highlighter that can either be applied under your foundation or on top. As the name suggests, it gives the skin a lovely radiant glow and looks oh-so-pretty blended over the top of the cheekbones. I think it’s the perfect highlighter for fair complexions that suit cool toned products. It’s so easy to work with and I love the fact you can apply it two different ways to get the look you want. If you prefer powder highlighters, then take a look at theBalm Mary-Lou Manizer. 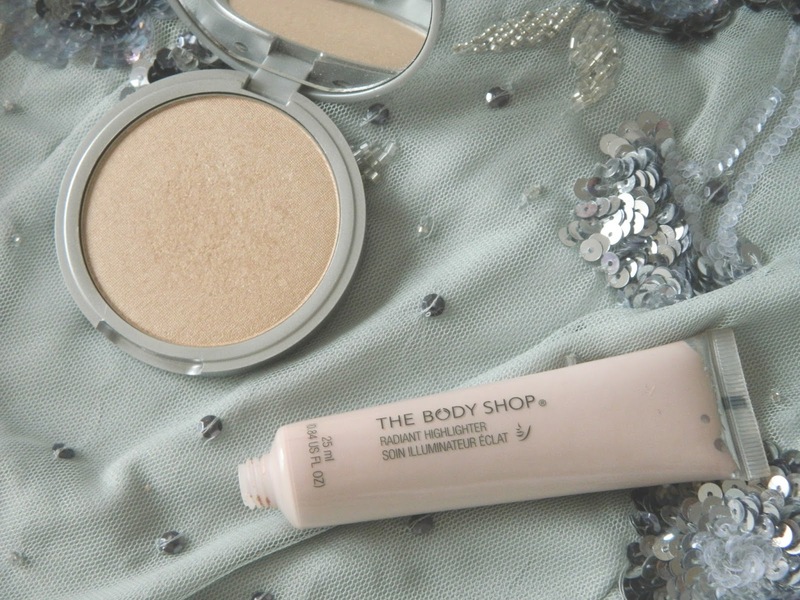 A bloggers’ favourite, this champagne toned highlighter is perfect for achieving a warmer glow. Again, this highlighter is so easy to apply and as with the Body Shop’s liquid highlighter, you’ll find that a little goes a long way. I recently featured the Mary-Lou Manizer highlighter in a 'Inside the Beauty Bag' post on Jess' blog - be sure to check it out to find out what other products I use on a daily basis! Whether you’re in the market for a cool toned or warmed toned highlighter, these are both excellent picks for achieving a beautiful springtime glow. Enter my giveaway for your chance to win a Charlotte Tilbury lipstick! Mary-Lou Manizer is at the top of my 2015 wishlist. It looks like such a pretty highlighter. I swatched the Body Shop's highlighter a few days ago and immediately loved it! As soon as I get paid I'll be purchasing it. 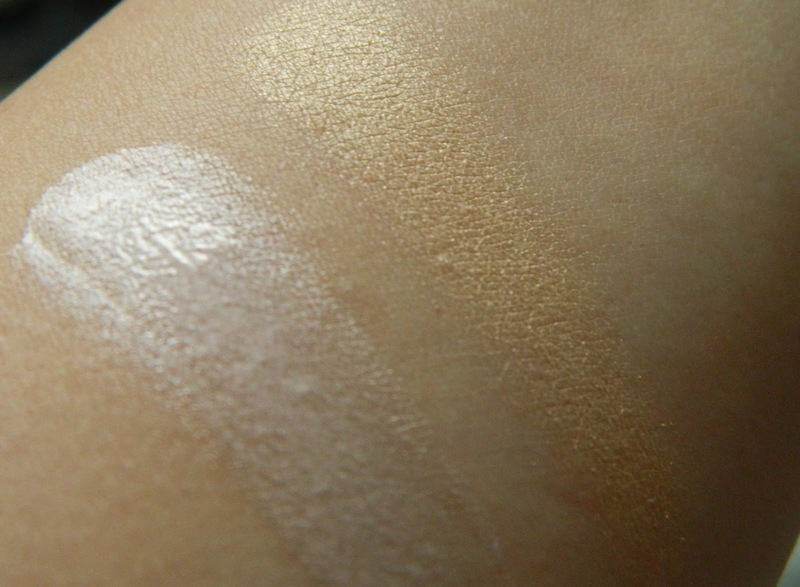 The Mary-Lou highlighter looks lovely too, but I don't think it would suit my skin tone! Really think Im going to try the Mary-Lou Manizer. I've just bought a kiko mosiac highligher to match their mosiac blush.. That is more of a lighter pinky tone and they work well together but I could do with one that is wamer and works better when Im wearing bronzer and more peachy shades. Can I ask a bit of advice here because Im quite new to using a highlighter and have only really experimented when Im making an effort.. Getting a bit older now so need to brighten my face as much as possible.. do you all use a highligher over your blush or under . I'm never really sure plus I'm always tempted to brush it everywhere which Im thinking is probably not the thing to do !! Hi Lyn, if you are going to use a powder-based highlighter like Mary-Lou Manizer, I'd recommend doing your blush first and then popping the highlighter over the tops of your cheek bones. I've linked a really short Instagram video below of another blogger using the Mary-Lou Manizer, she shows you exactly where you need to put it. If you were using a liquid highlighter, like the Body Shop one I've featured in this post, you could either apply it under your foundation or mix a little with your foundation for a more radiant look. Brilliant, thanks for that Megan. I feel some more experimenting coming on ! . I do just tend to use a very light brush over with a mineral powder base but use both powder and cream blushers. If I can find a very light and natural liquid foundation I do like the sound of mixing it for a more radiant glow..
You're welcome! I'm not particularly fond of heavy foundations either, so I always go for something that offers a light to medium coverage. I'm currently using the No 7 Essentially Natural foundation, which is lovely. I think you can get colour matched for it in store but I use the shade Calico (which I believe is the lightest shade). If you are looking for something even lighter, the Balance Me BB Cream is gorgeous. It's a little like a tinted moisturiser but it still offers light coverage that evens out the skin tone and adds a glowy finish. I've linked my review of it below. It also contains SPF25 so helps to protect the skin! Interesting, I do like the sound of the Balance Me BB Cream. I think that would work for me. Would you still mix that with a highlighter Megan ? Hahaa, there are so many products claiming to make us more beautiful.. It doesn't take a lot to justify the need to make another purchase even when we are skint !